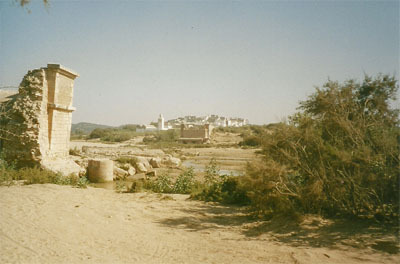 .......a village on the south side of the river Oued Ksob about 4 km from Essaouira. 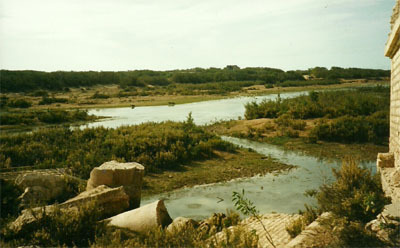 an oasis for tourists and locals. 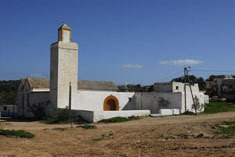 Ben Abdallah (1757-1790) a mosque was constructed. Also a wall for protection with its only door in front of the mosque. The inhabitants of Diabat lived close to the sea and the bay and was used by the Sultan to fight the pirates. For this task they were supplied with goods and military services. In 1626 the French Cardinal Richelieu sent his envoyé Chevalier Isaac de Rasilly (1587 - 1635) to occupy the Island of Mogador. He also wanted the Fench to trade with the Diabat people. He found the island not defendable and not suitable for a base for further Antlantic expeditions. 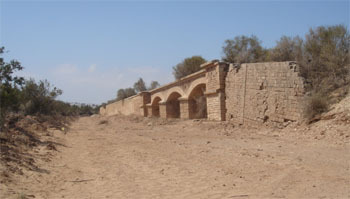 caused by the change of the flow of the river Oued Ksob. 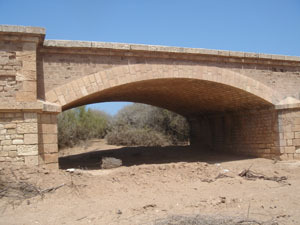 The "Cussot " bridge had 12 arches. King Mohammed VI launched in 2001 the “The Plan Azur Vision 2010” strategic tourism development program which in the area of Diabet this development will measure in the region of 5,700.000 m2. 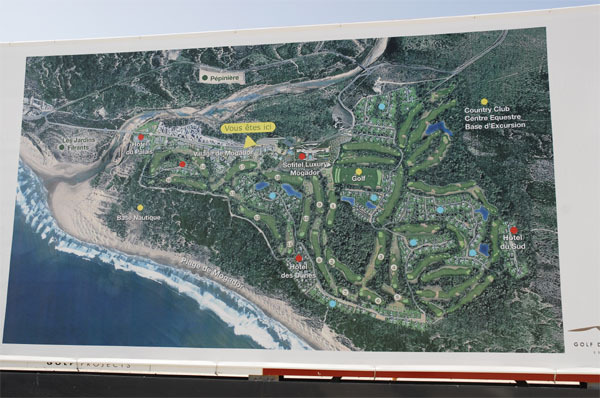 The main features of this development are sure to be the two Gary Player golf courses. One of 36 holes the other 18. The hotels, riads, villas, golf academy and practice course are laid out along the two spectacular courses facing the sea. This vast aera from the village of Diabet west to the sea and south is unfortunately now fenced and not accessible. 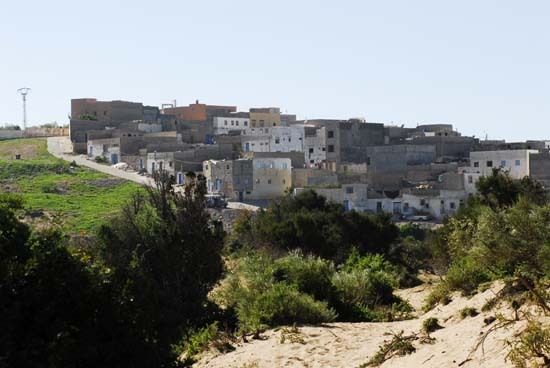 A new village is created called " La station Mogador-Essaouira"
Anyway the Plan Azur also has the objective of improving the infra structure. 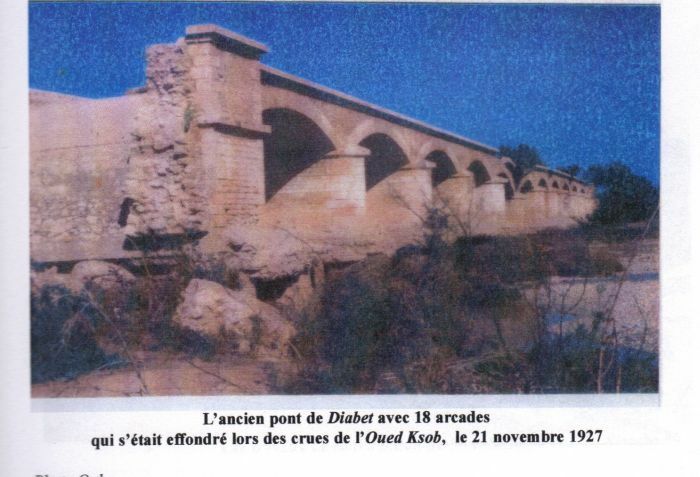 A new bridge over the river Oued Ksob and road to Diabet and also a motorway to Ounara and further on to Marrakech is under construction.